Bartram Academy is dedicated to helping others in and around our community. We participate in a variety of events, such as the St. Johns Cares Giving Tree Initiative, food drives for the Mandarin Food Bank, and Back-to-School donations for local schools in need. Bartram Academy offers both full-time and part-time programs for all age groups. 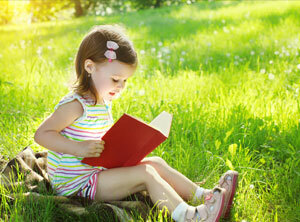 We offer programs for children six weeks of age through VPK. Bartram Academy participates in the Florida state VPK program. Children who are four years of age before September 1st of the current school year are eligible for VPK. Bartram Academy offers winter break and spring break camps for children up to eight years of age, as well as a full summer session for children up to eight years of age. Your child deserves the absolute best, and Bartram Academy is here to help. Whether you are looking for someone to care for your children while you work, or are just hoping to give them a head start on learning, we are the perfect St. Augustine preschool for you. We offer programs for children as young as six weeks up to VPK, and camps for children as old as eight. Our school makes it easy to enroll all of your children in one place, and we even offer sibling discounts! Your children will be learning a variety of useful and fun things during and after the school year. Children who receive high-quality early childhood education tend to do better socially and have more advanced math and language skills. They are even more likely to earn higher wages as adults and do better in school overall. The very early years are when their most crucial brain developments happen, and our eco-friendly child care can make those years count. Your children will be beyond ready for grade school after they have attended the best VPK in Jacksonville, FL. Our eco-friendly St. Augustine preschool provides children with a naturalistic learning environment in an open room setting. The curriculum at Bartram Academy is based on many aspects of the Reggio Emilia model for early childhood education. For many children, preschool is their first time learning to follow instructions and interact with children their age within a structured environment. It serves to prepare them for elementary school and make the transition less overwhelming and scary. 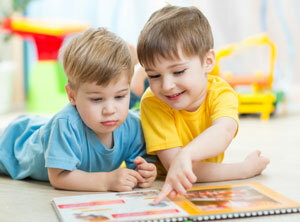 Preschool also provides the opportunity for them to make friends, which is essential for self-esteem and social growth. We open ourselves up to be a resource to busy families, as daycare and preschool allow parents time to work or take a break. We also provide children with the opportunity to play with others their ages while learning and exploring their interests. Rely on Bartram Academy to practice sustainability in childcare for children six weeks of age all the way to eight years. We offer camps during spring and winter breaks, as well as full summer sessions. Even more so than learning and fun playtime is the safety of your child. As the best VPK in Jacksonville, FL, we make safety our top priority and encourage parents to tour our facilities. Our eco-friendly daycare received a 100% rating on state inspections, and every staff member is CPR certified. We also received the Green Business of the Year Award in 2013 because we believe in sustainability in childcare and want the next generation to take it seriously. Our staff members take pride in teaching children how to live a lifestyle that is not only healthy for them, but for the Earth and future generations. We look forward to learning and playing with your children. Contact Bartram Academy today at (904) 419-7563 to see all we have to offer your family. "In the Reggio Emilia preschools, each child is viewed as infinitely capable, creative, and intelligent. The job of the teacher is to support these qualities and to challenge children in appropriate ways." Bartram Academy serves only organic/all natural, fresh/fresh-frozen foods containing no dyes, high fructose corn syrup, or partially hydrogenated oils. The school won the Green Business of the Year in 2013 with the US Green Building Council. A children’s book, My Eco Healthy School, by Kate Krusely featured Bartram Academy as an up and coming early childhood learning movement.